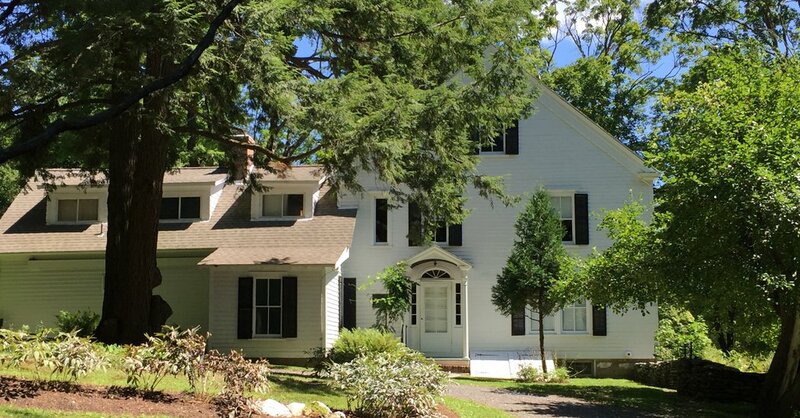 Steepletop, Edna St. Vincent Millay’s home in Austerlitz, N.Y.
Mark Twain had Quarry Farm. Pablo Neruda had his Valparaiso home on the hill. And Edna St. Vincent Millay had Steepletop, her farmhouse home in Austerlitz, N.Y., where she wrote poetry about its sprawling, lush grounds. But the house, now a museum and a National Historic Landmark, is in danger of being shuttered. The Millay Society has started a fund-raising campaign, and said that the site will close in November unless $1 million is raised. “The cost of operating the site, even with a small staff and an extremely tight budget, exceeds the money brought in each year from donations and visitor fees,” Vincent Elizabeth Barnett, the president of the organization’s board of trustees, wrote in a statement. She lived there until her death in 1950, and is buried there alongside her husband. The site was named a National Historic Landmark in 1971 and became home to the Millay Colony of the Arts, which offers residencies and workshops. And the Millay Society opened the house and gardens to visitors in 2010; many of her possessions are on display, including her portable typewriter, her library collection and gowns she wore on reading tours. Though the house runs on a meager staff, with one full-time and two part-time employees as well as volunteers, it will close unless funds are raised. The Millay Society said that $1 million would allow the house to remain open for three to five years. They hope either to start an endowment or conjoin operations with another organization to stay open beyond then. More information can be found at millay.org.